Amidst the hustle and bustle of moving into my apartment in Twin River Commons, I forgot about an important, yet very exciting, part of going back to school—doing my favorite local things with my friends from outside of the Southern Tier. 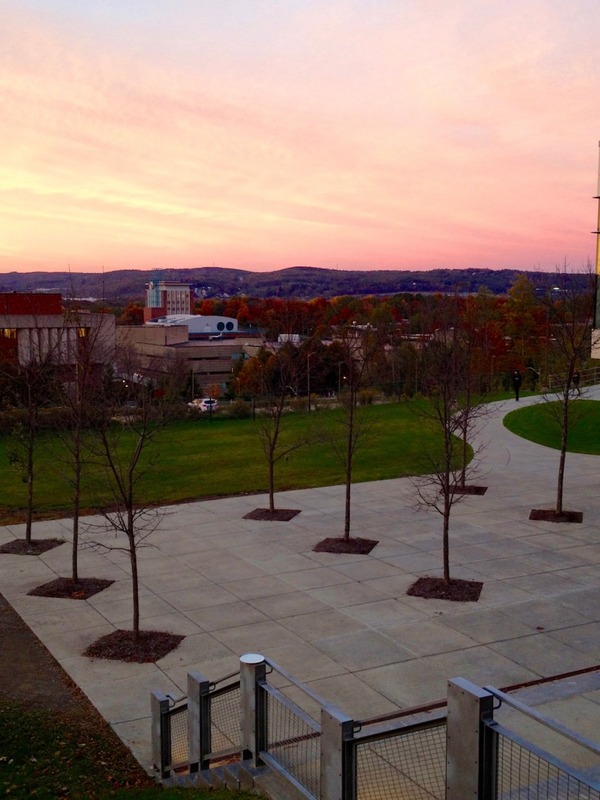 Having lived on campus the past three years, I would like to think my friends and I have nailed down some of the best facets of getting the full Binghamton University experience, whether you’re a student, resident of the area, or both! Some of the most carefree moments of my college years have been spent sitting on the grass on main campus (what students call “the spine”), surrounded by dozens of other students enjoying the beautiful weather. And with how sunny it’s been recently, I can’t wait to be able to do this the first few weeks of classes. As fall gets closer, I am itching to get to the serenity of the Nature Preserve and hike any of the multiple trails, while admiring the natural wonder of this haven on campus. Despite the fact that dining hall food is nothing in comparison to the local restaurants we have here, having a more formal lunch in the coziness of the Chenango Room, or taking in the breathtaking view of the 607 from the Appalachian dining hall, while enjoying the healthy food options there, are two indispensible things to campus-life. However, now that my friends and I are living downtown, there are a few places that we will be sure to go in order to make the most of the food and entertainment scene that exists here. Citrea’s bottomless mimosas and breakfast pizza combo, or any of NezunToz’s hearty sandwiches will be a staple for weekend breakfast/brunch trips. And Uncorked Creations ‘Wine & Painting’ sessions, a lively B-Mets game or the First Friday Art Walks are all sure to be much needed down-time after a long week of classes. While we’ve already taken advantage of the plethora of iced coffee choices at Strange Brew, I have yet to introduce them to Social on State’s delicious dinner and cocktail options, or The Colonial’s yummy lunch menu, filled with their award-winning burgers and fantastic salads. So whether you’re Binghamton University student yourself, or a professional that’s been established here for years, I hope these recommendations will come in handy for you, or at the very least, remind you of something you love about our area.